- for as low as $1.52 per Publication! Receive savings as much as 80% off newspaper advertising open rates. Huge discounts! US Newspapers' Community Target Program™ is a unique and powerful print advertising program from the leading agency in newspaper advertising. It makes mass marketing simple and at a price that makes sense. Advertise in hundreds to thousands of newspapers regionally, statewide, or nationwide. It is fast…and cheap! Reach millions of potential customers with display or classified advertising quickly and easily. Turn your advertising ideas into a successful newspaper ad campaign within a week! Our newspaper groups are perfect for employee recruiting ads, business opportunity advertising, promoting events, and selling products or services. You may be surprised to learn that newspaper advertising results are better today than they have been in a very long time…maybe better than they have ever been. Call us today to find out why and receive a quick, no-obligation price quote for your next newspaper advertising campaign. Our claim to fame! US Newspapers’ Community Target Program™ allows you easy access to over 6000 newspapers across the nation at extremely discounted rates. If you are ready for results, place your classified or display newspaper ad in one of our statewide or regional print advertising networks. 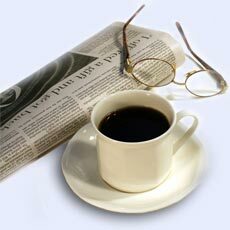 We are experts at negotiating newspaper advertising buys to ensure that you get the best rates available. If your ad campaign is a little flexible, newspaper advertising on a "Standby Space" basis can save your budget! Are you ready to get results? With our professional, result-driven ads, US Newspapers can help your company kick start your ad campaign. US Newspapers publishes Secret Recipes Magazine™ in Southern California. The magazine is mailed only to homeowners in Orange County, one of the most affluent counties in the nation. It is full of secret recipes from local restaurants, a dining guide, events calendar, business reviews, etc.. Call today and reserve your advertising space in this sought-after publication. Options are available for nearly any budget. Our customers know that a lot goes into successful newspaper advertising campaigns. Creating a classified or display newspaper ad is not always easy and sometimes not as successful as you might like…the first time around. Our “Marketing Tips” offer easy, practical ways to enhance your success with most any form of print advertising. This month we are offering some suggestions on what NOT to do when creating your next newspaper ad. 1) Do NOT use an Abstract Headline... People can’t relate to your ad if they don’t know what you are advertising. Headlines are your first (and many times your only) chance to make an impact. Let readers now up front what you are advertising and/or that your ad pertains to them.......click to learn more. 2) Avoid Text Heavy Display Ads - Let’s be honest, we can’t all afford full color, full page ads. That is the reality. If your budget only allows for a black and white 4” x 4” ad then it is critically important to make use of that space. Use relevant images, graphics and logos to spice up your ad. Text only display ads are boring and tend to get lost in the paper.......click to learn more. 3) Do NOT Run One Time - and expect your ad to perform at its best. Newspaper advertising is most effective when a good ad is combined with consistency. Running a small ad one time in your local newspaper is probably not going to bring people in by the thousands. Running your advertisements frequently to build consumer confidence is a great way to enhance response......click to learn more. 4) Do NOT Only Test One Ad - Different versions of your ads are going to generate different results. Budget permitting, try two or three versions of the same ad to decide which one is going to bring in the most business. You may be surprised at how a little ad change can bring big results......click to learn more. 5) Do NOT Leave out Contact Information - This sounds simple enough. However, we are not just talking about throwing in a phone number. People want options. Provide a variety of contact information, ensuring that everyone has a comfortable way to get in touch with you.....click to learn more. Who Should You Be Marketing To? Knowing exactly who your customers are is the simplest way to determine where you should be advertising and what you should be saying. You can greatly increase your advertising results by catering to an audience you know is interested. Here are some tips that will help you determine who you should be marketing to....to read the complete article, click here. Classified Advertising in newspapers is a great way to quickly and inexpensively advertise your business, announce a special, recruit employees, etc. Because they can be such an effective way to get your message out… some tips on Classified Ad writing bare repeating. Here are some ways to improve your classified ads....to read the complete article, click here. Here are some tips on how to keep your print advertising hot this summer, and....to read the complete article, click here. We’ve said it before and we’ll say it again… successful ad campaigns take testing and testing and testing! Each campaign is an opportunity to improve your results… continue with what works and get rid of what doesn't’t. Keeping this in mind, maintain realistic expectations with each campaign. Here are some questions to ask yourself after a newspaper advertising campaign, in planning for your next run....to read the complete article, click here. Today everyone is looking to save money and in almost anyway they can. Cutting advertising altogether may alleviate your budget in the short term, but will your business survive with no new business generated? Instead of ducking out, look for ways to save on advertising. Here are a few insider tips on how to save money on your newspaper advertising....to read the complete article, click here. Newspaper advertising is a great way to reach a large, broad audience. Many advertisers can also benefit from marketing to a smaller, more targeted audience. Direct mail is a great way to reach a specific audience. Direct mailings are sent to a customized list of households and/or businesses (either made up of past customers or new potential customers.) A purchased list allows you to....to read the complete article, click here. Newspaper Advertising works. For many products and services, newspaper advertising can generate a high volume of inquiries. Newspapers still have the capability to reach thousands to millions of readers daily. Many advertisers take advantage of these huge audiences by placing ads regularly. However, it is no secret that some businesses tend to have better results than others....to read the complete article, click here. Newspaper display advertising is a powerful way to advertise your product or service. Combining a well designed display ad with the right statewide to nationwide exposure will produce results. Newspaper display ads vary in size, from as small as one square inch up to a full page. They run in just about every section of the newspaper, generally according to the type of product or service being advertised. Display advertising is a great way to get your message across to potential customers. With display ads, you can...to read the complete article, click here. Classifieds ads are comprised of text only. They are run in their own section with other classified ads under topic specific headings, ie. Help Wanted, Business Opportunity, Real Estate, etc. Display ads are larger ads run in just about every section of the newspaper. These types of ads can utilize different fonts, characters, graphics, etc. to help promote your product or service. Knowing the difference between Classified and Display Ads is half the battle. Knowing which one is best for you can be a bit trickier...to read the complete article, click here. Click the Classified Advertising or Display Advertising button above to discover how affordable Mass Newspaper Advertising can really be. We can blanket a state with newspaper ads for a price that may be less than what you are paying for advertising in just your local newspaper. No kidding! – Peter C., Des Moines, IA. – Alan T., Seattle, WA. Click here to find out why it is the best in the country! Secret Recipes Magazine™ is different. Find out why it should be a part of your marketing plan. Click Here! When running a display ad, make sure you stand out from the rest. To test your ad, cut it out (to its actual size), tape it over another ad of similar size in the paper and stand back, way back. Does your ad stand out? If your ad blends in with the rest of the paper, perhaps you need to try a different design. Take hints from the ads that attract your attention. Like most people, your marketing plan is probably full of questions about how to market your message and where to get the best advertising rates. While we can’t offer all the answers we can suggest that newspaper advertising has always proven to be a valuable vehicle to print advertisers.